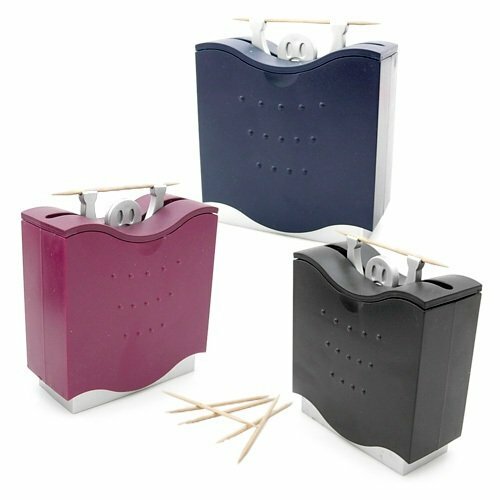 Toothpick dispensers are an underappreciated kitchen accessory – often liked for their utility but rarely their aesthetic. But cool toothpick dispensers are definitely out there! This post highlights some of our favorites from every price point, ranging from convenient pocket dispensers to vintage designs and clever novelties. 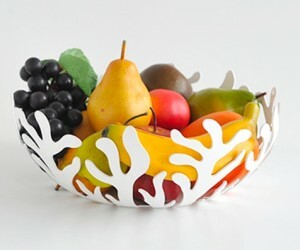 It's part of our series on kitchen accessories, like this creative spice shaker list and this collection of designer fruit bowls. And if you're looking for a useful or inexpensive housewarming gift, you might just find what you need right here. 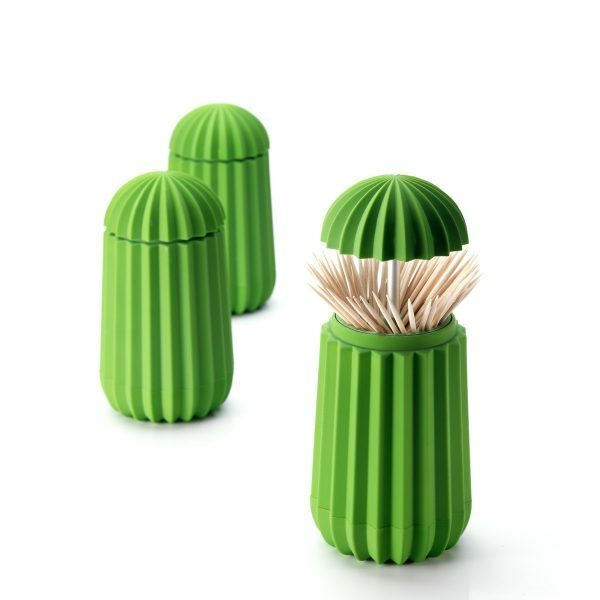 Cactus Toothpick Holder: Novelty toothpick holders are a fun addition to any themed kitchen or dining room, but they also work well as a surprising feature within minimalist tableware spreads. 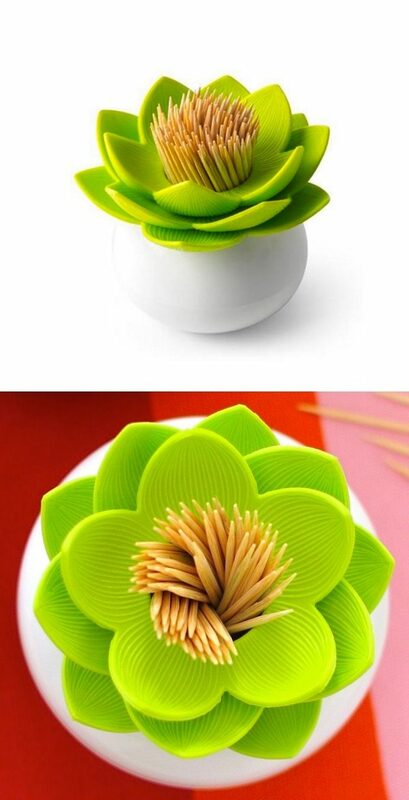 Lotus Toothpick Holder: Shaped like a fresh lotus sitting on a smooth white rock, this holder actually makes the toothpicks part of its artful design. A clear dome fits over the top of the toothpicks to keep them fresh. 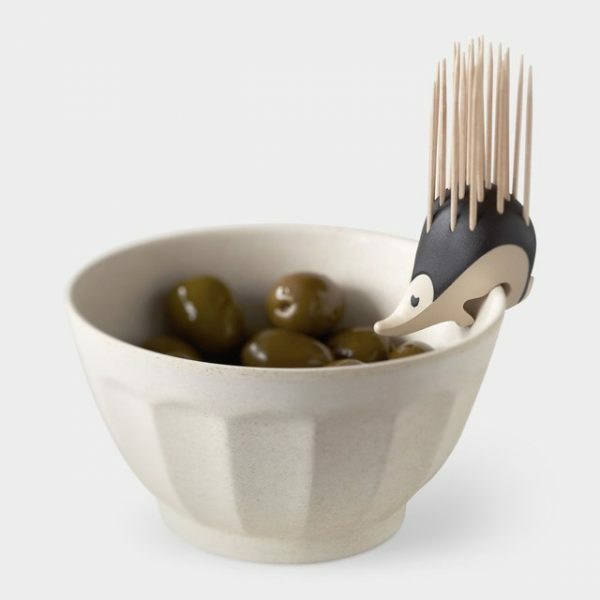 Kipik the Hedgehog: Designed by architect Erwan Péron, Kipik is a charming hedgehog and the toothpicks are his quills. 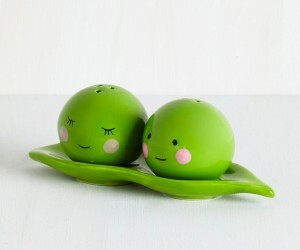 It might take time to refill this adorable novelty dispenser but it would make an unforgettable accent for a playful snack display. Each one holds 22 toothpicks. 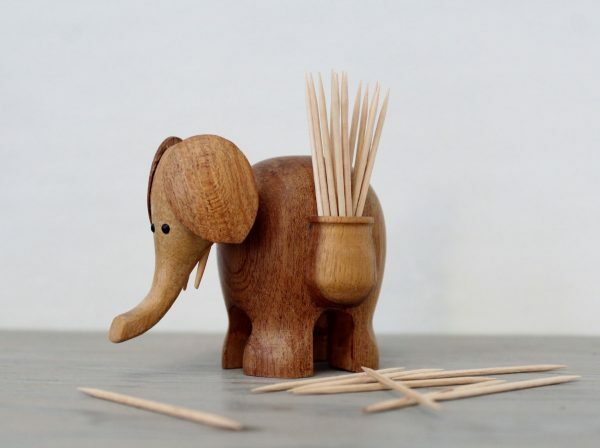 Elephant Toothpick Holder: A classic! Carved wooden elephants are a classic collectible, and this specific toothpick holder design was common to many midcentury households. 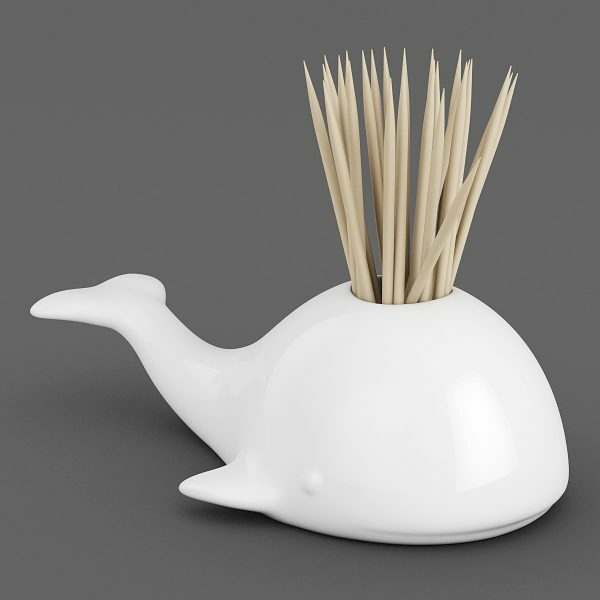 Moby Pick: Sleek and stylish, but still brimming with personality – this whale toothpick holder even comes with 32 picks that look like water spouts, although the shape itself is a cute idea on its own. 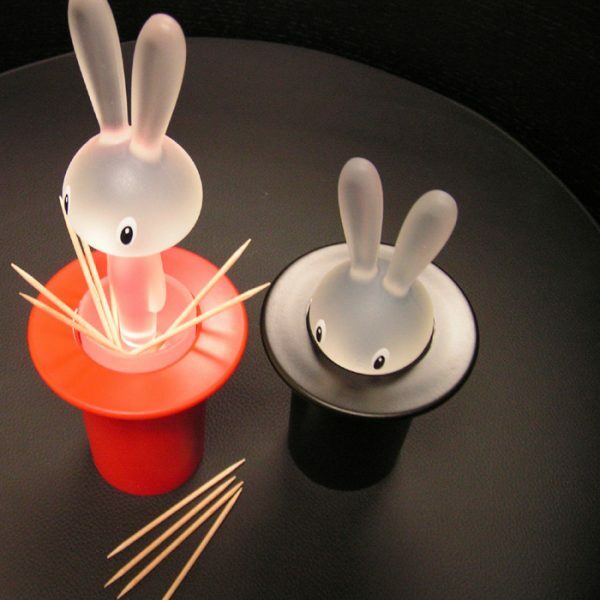 Magic Bunny Toothpick Dispenser: Pull a rabbit out of the hat, and surprise guests with the toothpicks that come with him. 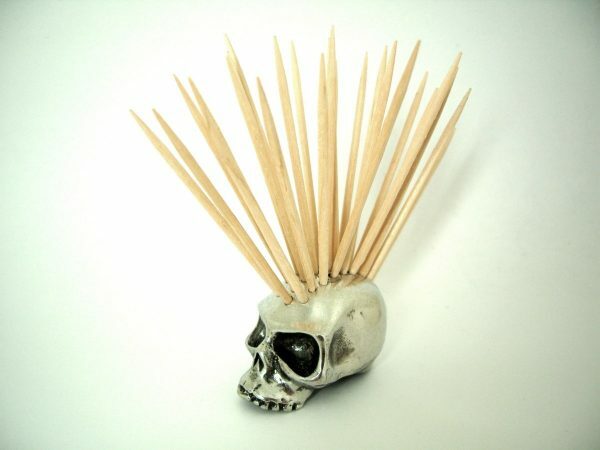 It’s quite the conversation-starter for a toothpick holder and helps keep your toothpicks free of dust as well. 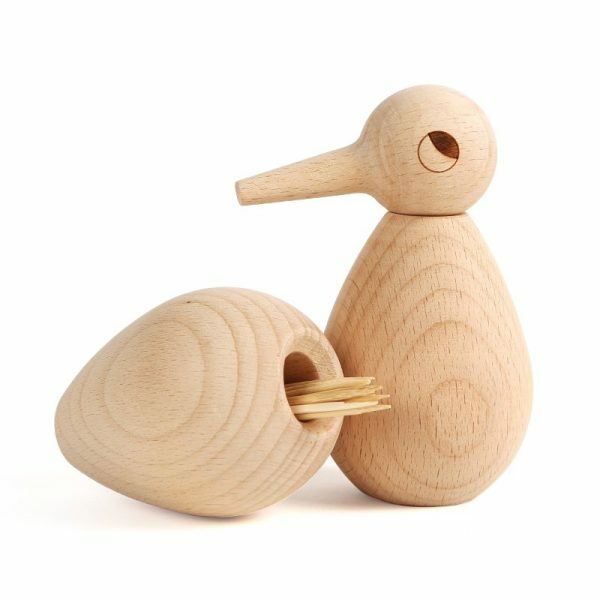 Bird Toothpick Holder: This cheerful wooden bird offers a contemporary take on midcentury design. Don’t forget to check out our big list of bird figurines for more like this. Penguin Toothpick Dispenser: Woodpecker toothpick dispensers are a classic midcentury kitsch item, so this clever penguin based on the same mechanic might inspire some smiles. 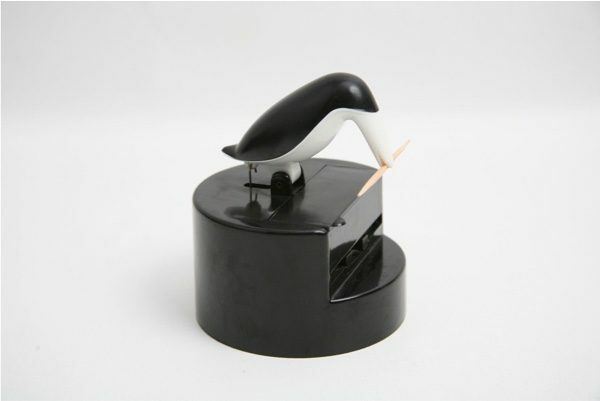 Just press the penguin down, and he picks up a toothpick from the hidden compartment – great for entertaining guests. And you can press the bird with the pack of your hand to keep the dispenser clean if you’re working with messy hands. 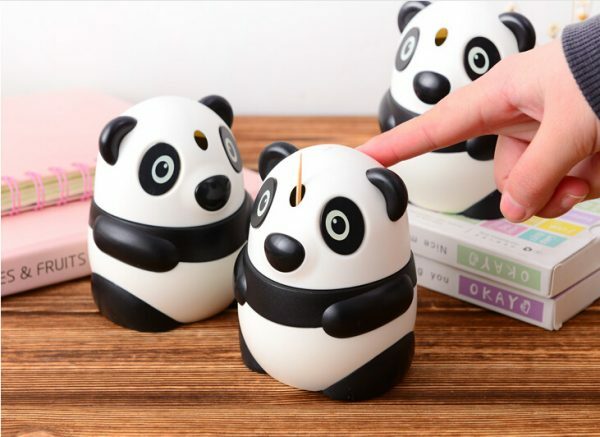 Cute Panda Dispenser: Just push a button, and up-pops a toothpick! Automatic dispensers are great for anyone who wants to protect picks from dust or debris. 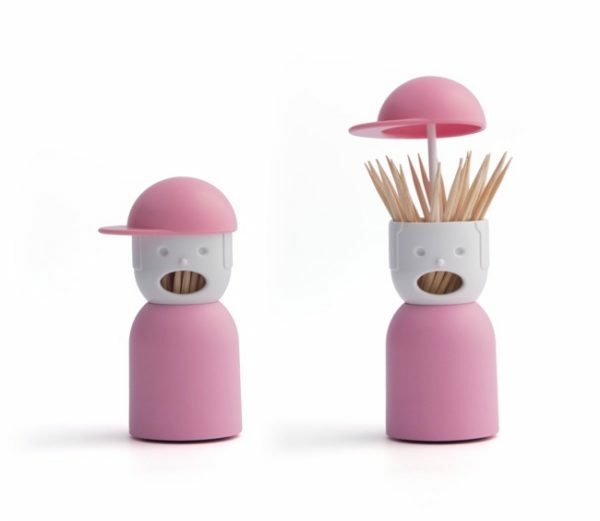 Picky Boy: Here’s another novelty toothpick dispenser for modern but playful homes. Lift the hat to reveal a spiky toothpick hairdo and fall in love with Picky Boy’s quirky design. Novelty Cow Toothpick Dispenser: Look at the cute face! Press the button and see a toothpick pop out… wait… from the other end? 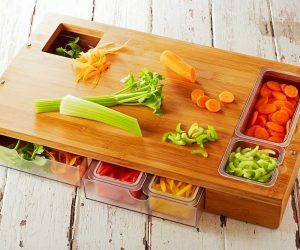 Guests are sure to get a laugh from this unexpected design. 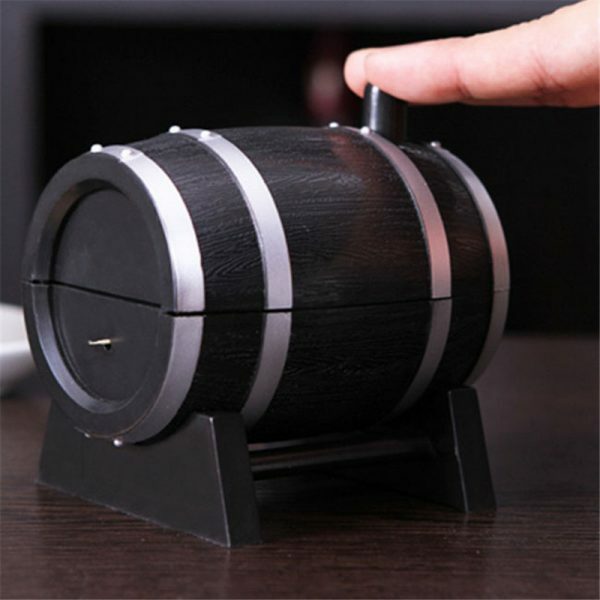 Auto-Dispenser with Barrel Shape: The rustic barrel design is perfect for country-themed kitchens, but the automatic dispenser button is a modern twist on the old favorite. Ouch from Fred and Friends: Do you need a housewarming gift for a friend with a dark sense of humor? 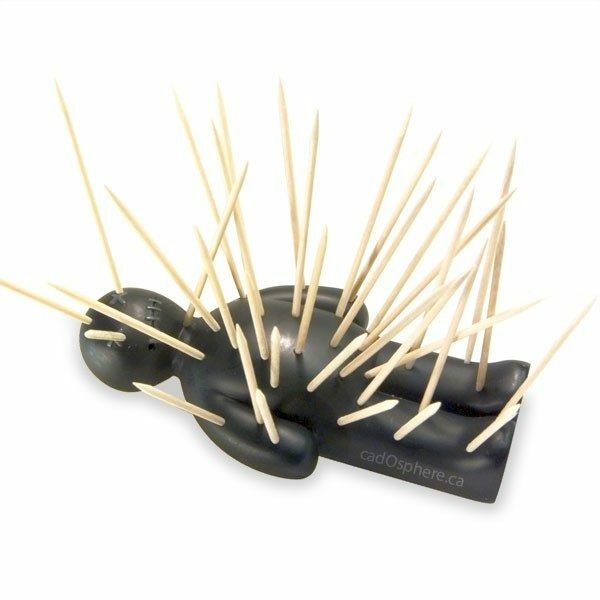 This clever toothpick holder looks just like a voodoo doll, so make sure not offend the recipient. Metal Toothpick Holder Skull: Lead free pewter makes this skull look cool on its own. Just add toothpicks to give him a cool wooden mohawk and embrace your inner punk. Weight Lifter Dispenser: This little weight lifter will pick up a fresh toothpick every time you lift and drop the cover. 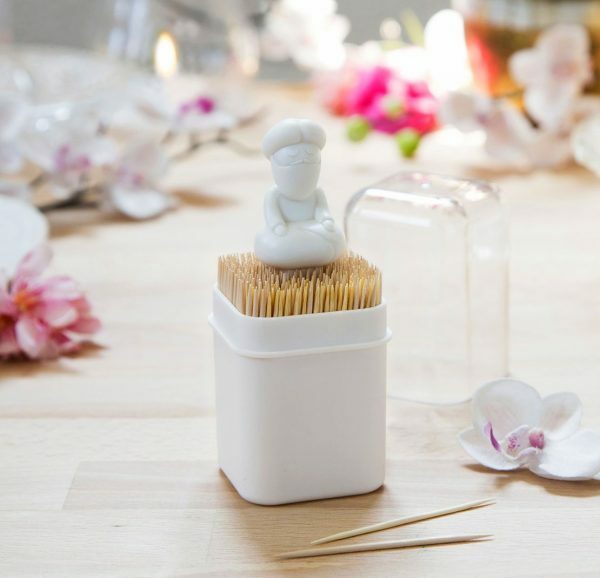 Guru Toothpick Holder: Calm and charming: this meditating figure seems to sit independently on top of the toothpicks, but the bunch conceals a hidden stand. 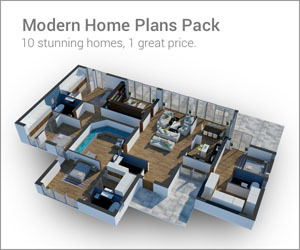 This model comes with a plastic cover to keep your toothpicks fresh and clean. Fork & Spoon Toothpick Holder: Folk-style sculpture goes well in a rustic or country-themed kitchen. This figure holds a small glass for the toothpicks, but catches attention with a body made of stainless steel forks and spoons. Emoji Toothpick Holder: An understated smiley face welcomes guests to the table. 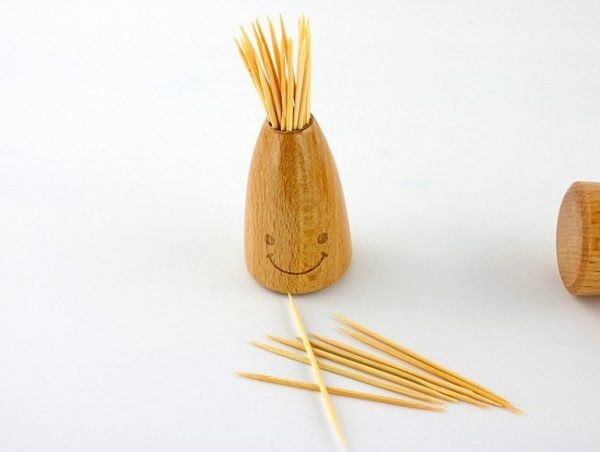 This wooden toothpick holder isn’t fussy or complicated – it’s just does its job with a smile. 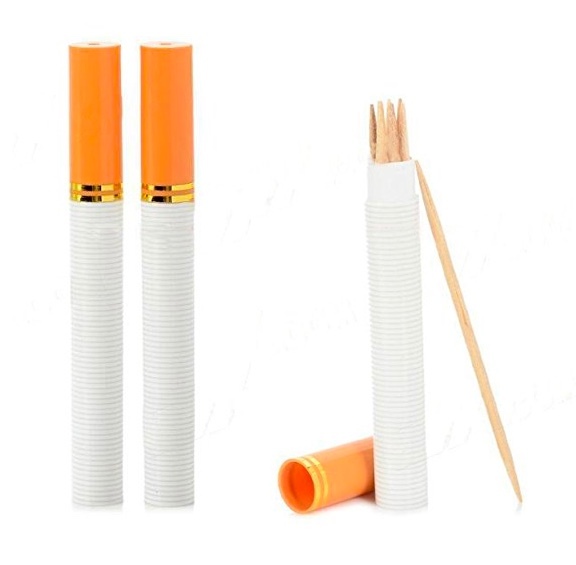 Travel Toothpick Holder: Keep your toothpicks clean and safe with this pocket toothpick holder. It’s ideal for travel and more, but maybe look twice before pulling it out in no-smoking areas. Metal Toothpick Holder: Sleek and stylish. 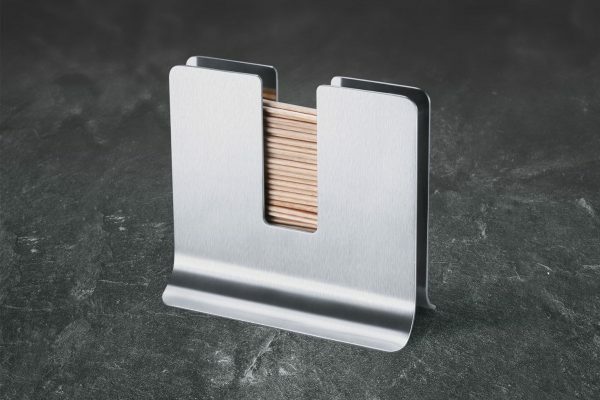 This smooth metal toothpick holder is perfect for a minimalist kitchen or dining room. It even looks good enough for the office if you tend to at lunch at the desk. 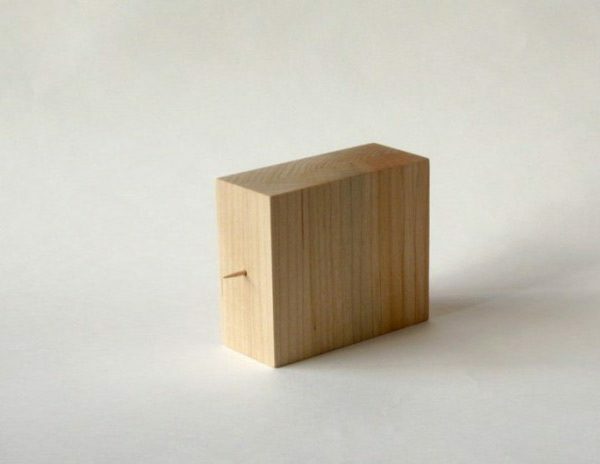 Minimalist Wood Dispenser: Carved from an impenetrable-looking block of wood, this dispenser releases a single toothpick with a simple shake. 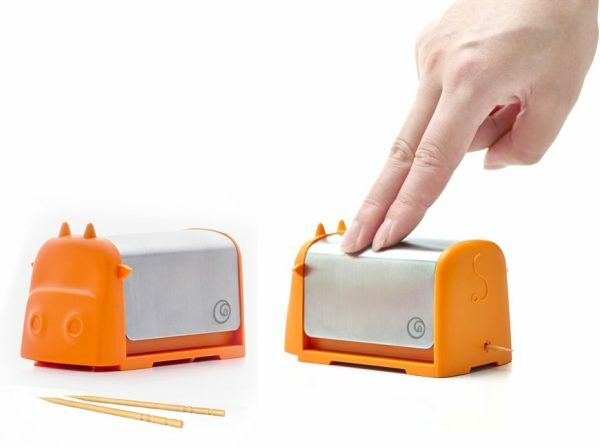 Stainless Steel Toothpick Dispenser: Do you love a retro look in the kitchen? 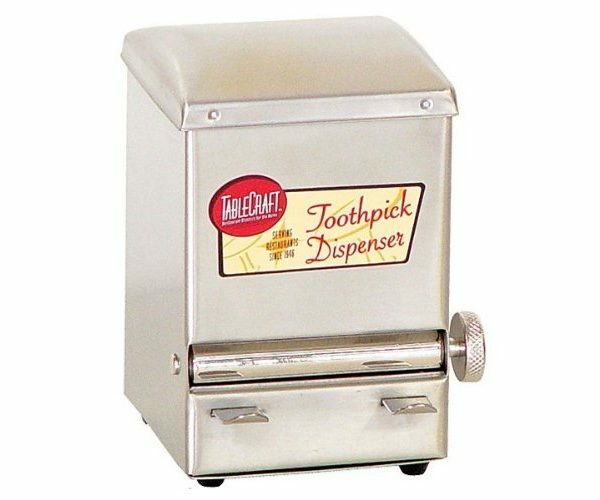 This old-style toothpick dispenser brings to mind memories of classic family diners. Coca-Cola Toothpick Vending Machine: Coke collectors are sure to love this. 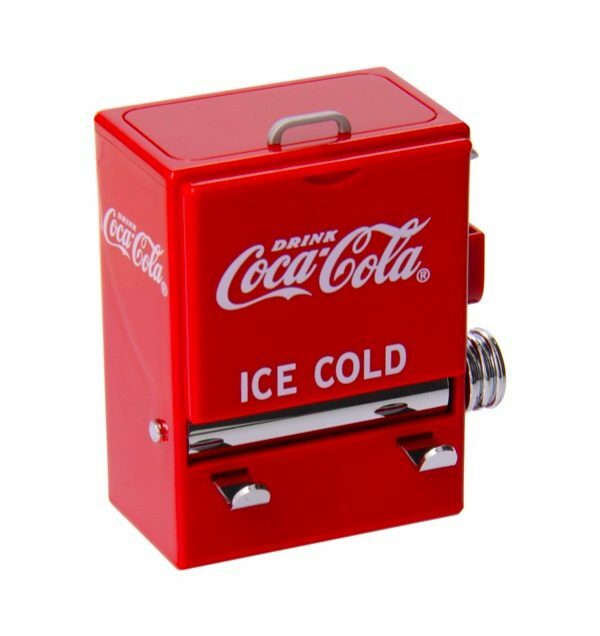 It’s a pocket sized Coca Cola machine that holds more than 200 toothpicks. It looks just as good on the shelf as it does on the table. 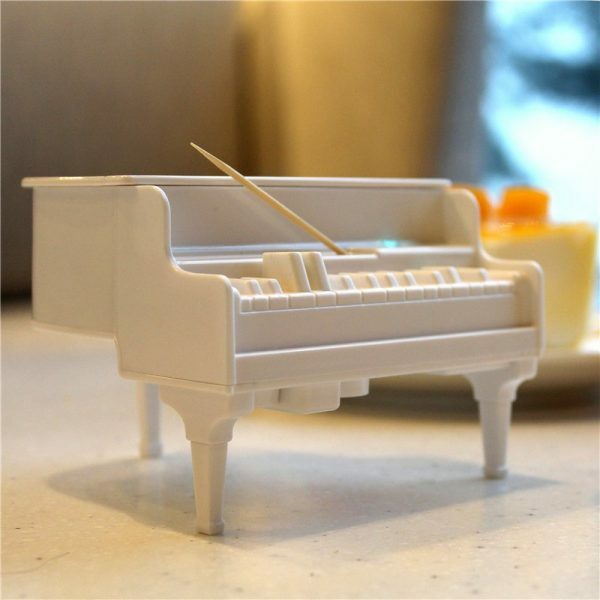 UV Piano Toothpick Dispenser: Press a piano key and receive a fresh toothpick. Add two AAA batteries to enable UV sterilization. 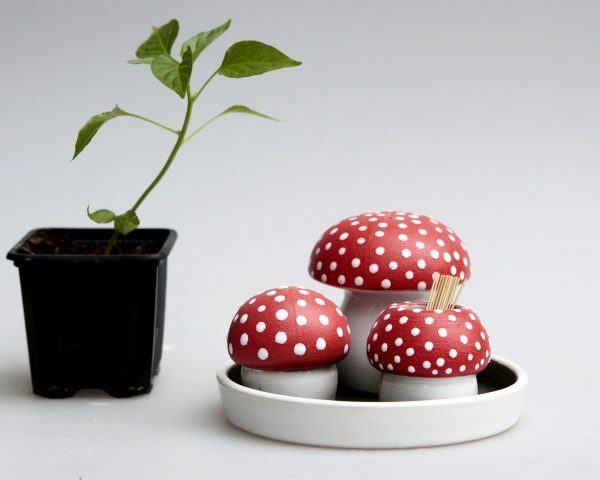 Mushroom Spice Shaker and Toothpick Set: Build a whimsical little forest of amanitas with this modular spice shaker and toothpick holder set. They’re made from wheel thrown ceramic, artfully glazed and painted by hand. 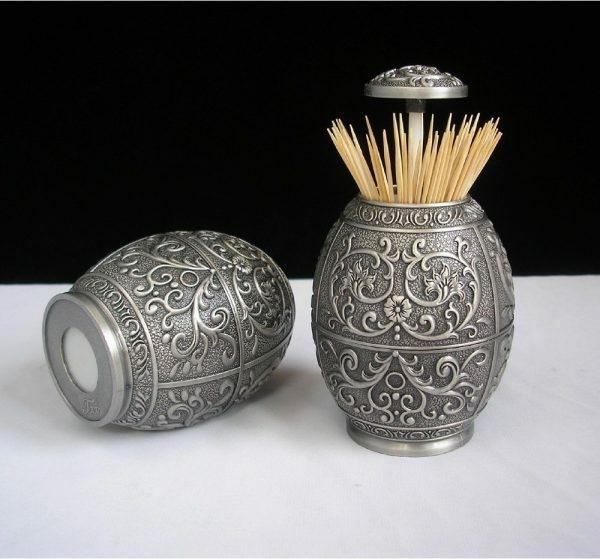 Decorative Metal Toothpick Dispenser: Embossed zinc-alloy gives this dispenser an antique appearance. A retractable lid and compact size makes it easy to pack along for picnics or travel. 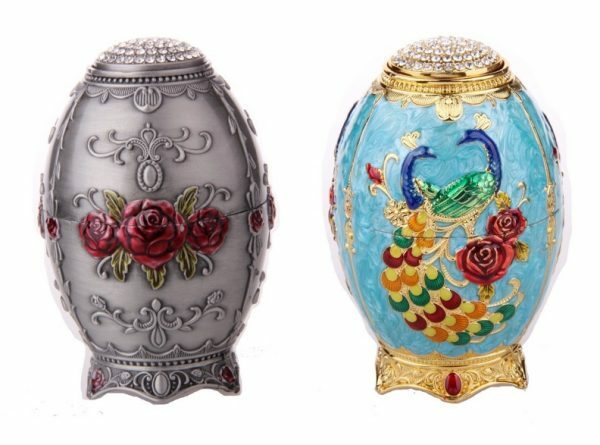 Faberge Egg Pick Holder: This toothpick holder sparkles with handcrafted detail and intricate enamel patterns. It’s a little taste of Russia with every meal. 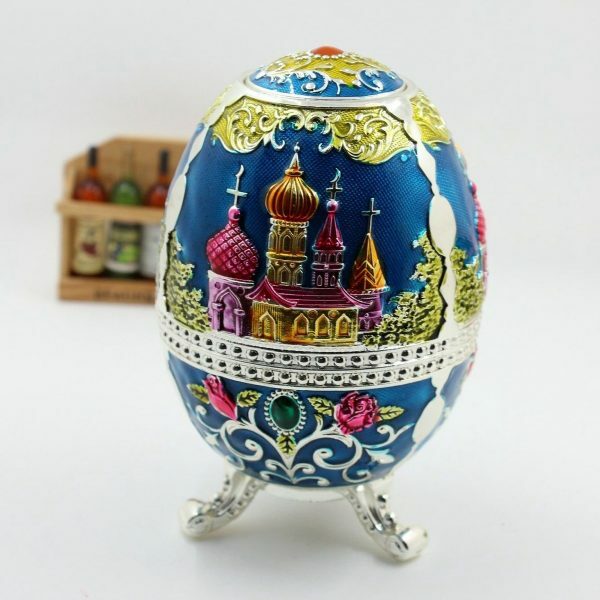 Traditional Chinese Toothpick Holders: Available in a variety of colors and patterns, there’s sure to be one that fits your dining room theme. 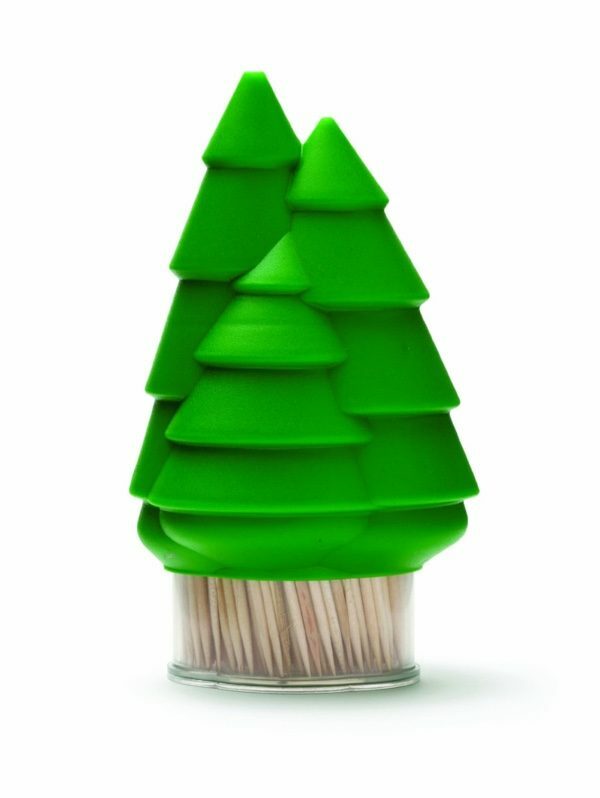 Cute Forest Toothpick Dispenser: It’s bright, playful, and dispenses one toothpick at a time. 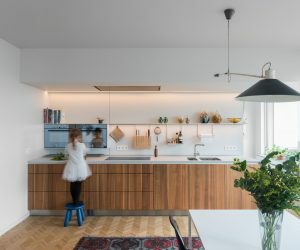 The pine forest shape makes the toothpicks look like a dense thicket of tree trunks. 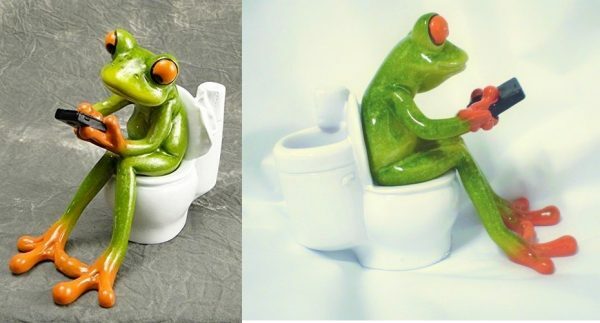 Texting Frog: Okay, so this might be the most silly toothpick holder yet. If you know somebody who spends too much with their phone, no matter where they are, this gag gift might get the point across.